As a consultant, your first priority is helping your clients. Whether you do that by improving their processes, technology, or infrastructure, the end goal should always be greater efficiency for you and them alike. That’s why this ebook will take you through everything you need to know about Process Street – the best way to document, manage, and track both you and your clients’ processes. Whether you’re documenting your clients’ business processes, updating their toolkit, or generally improving company tools and practices, Process Street is the easiest way to document and manage both your personal and clients’ workflows. Anything you do more than once can be documented in a process. This takes the effort out of your tasks and limits human error by giving you instructions to work through. If you or your clients are sick of repeating the same mistakes or wasting time trying to remember what to do next, this is the guide for you. How do you keep everyone accountable? Aside from preventing silly or repeated mistakes, documented processes make everyone accountable for what they do. By assigning people to processes and tracking their progress you can see exactly what needs to be done and when for, and so can they. Whether you’re solving a client’s productivity problems or you want to have a thorough and consistent onboarding process for every client, everything you need and more is in this guide. Whether you’re a documentation consultant dealing with processes, a software consultant with a focus on better tech, or an SMB consultant giving company-wide efficiency advice, you need a consistent and manageable approach in order to meet client expectations. 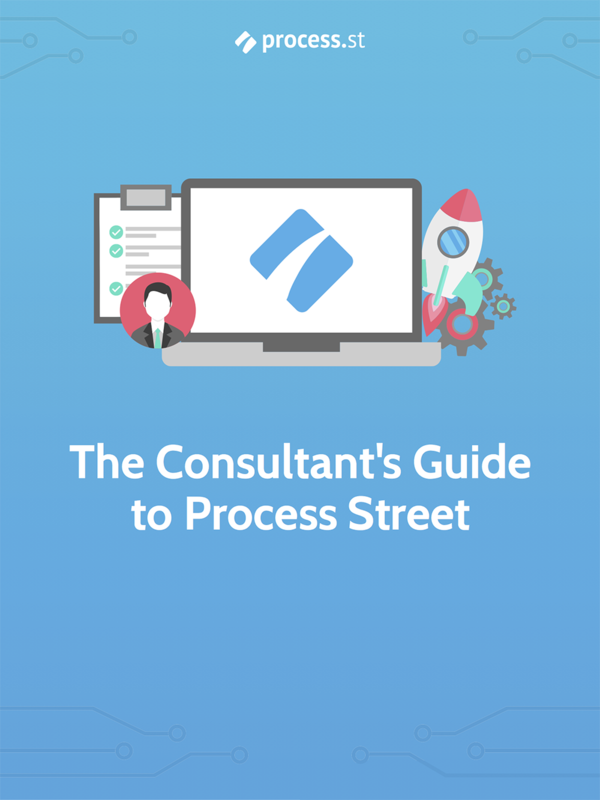 This guide will show you how to do just that with Process Street, while also preparing your clients to use the app themselves if you choose to hand off their processes once you’ve built them. Not a consultant? Not to worry! This might be called the “consultant’s” guide, but it’s great for anyone and everyone looking to bring consistency to their efforts and track their own processes.